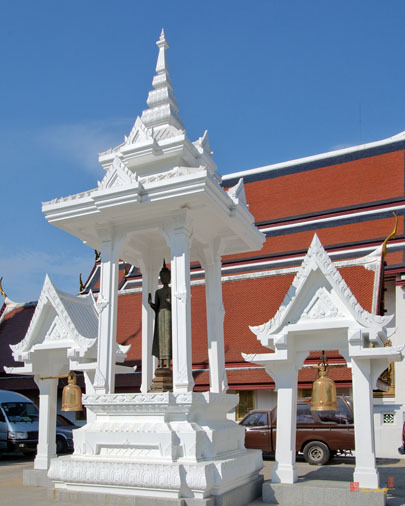 Wat Thewarat Kunchorn Worawihan, วัดเทวราชกุญชรวรวิหาร, was originally a civil temple built during the Ayutthaya Period and called Wat Samor Khraeng. 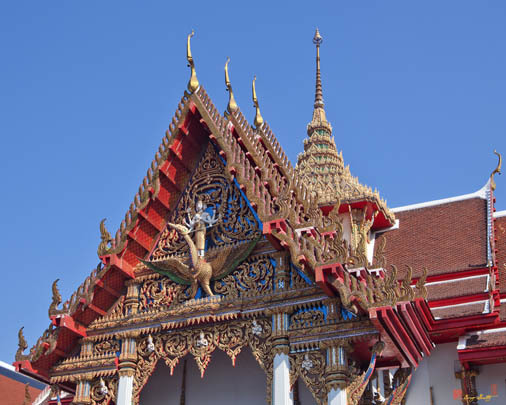 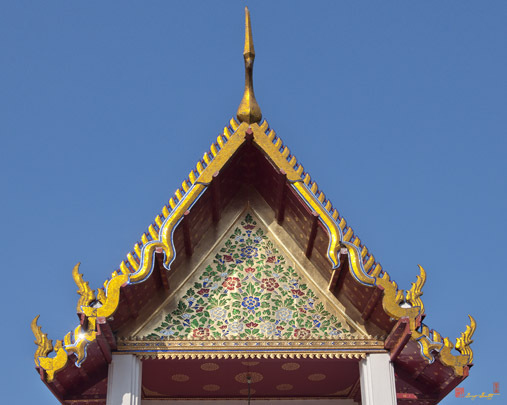 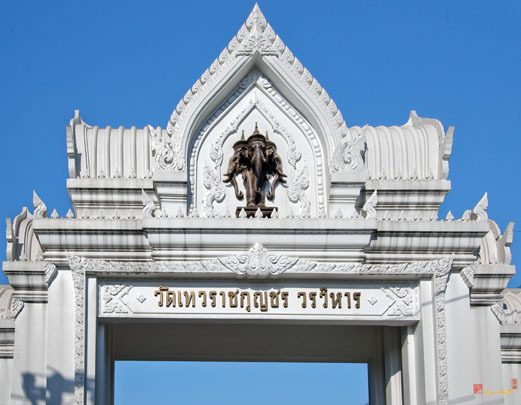 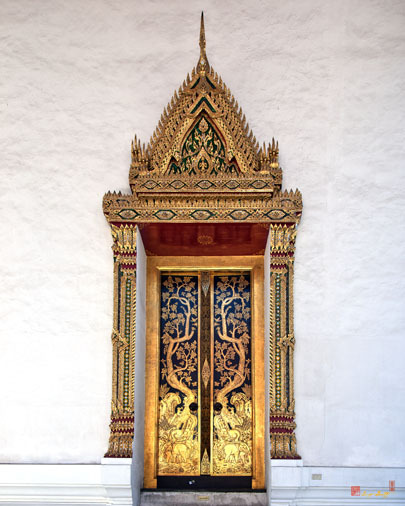 During the reign of King Rama IV, it was adopted as a third class royal temple and given its current name after Krom Phra Phithak Thewet, son of King Rama II, founder of the Kunchorn family and renovator of the temple. 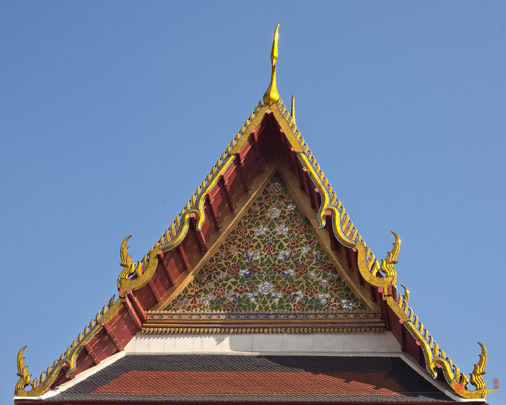 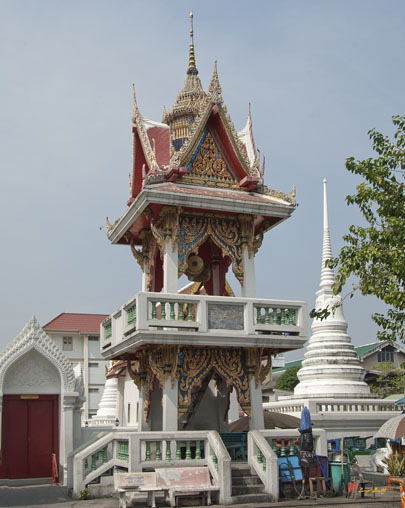 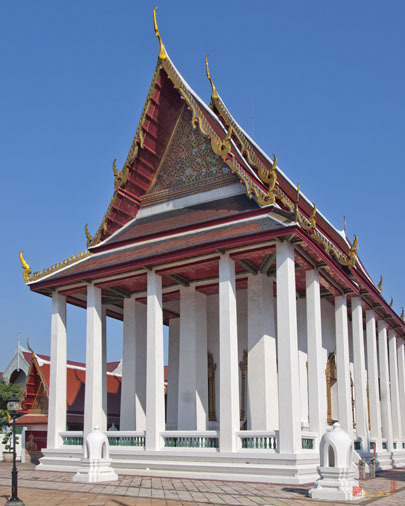 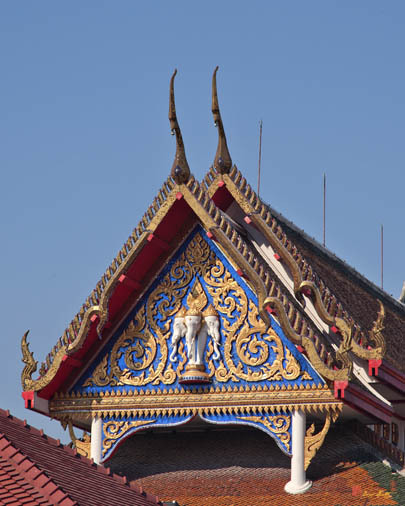 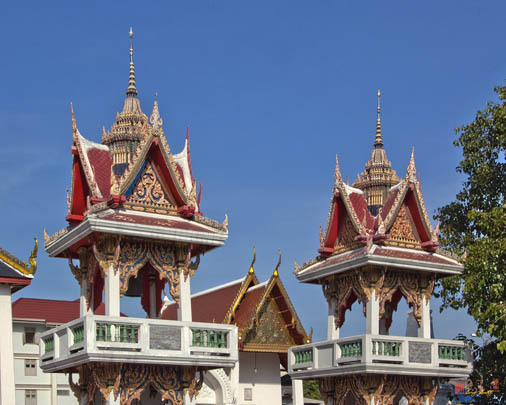 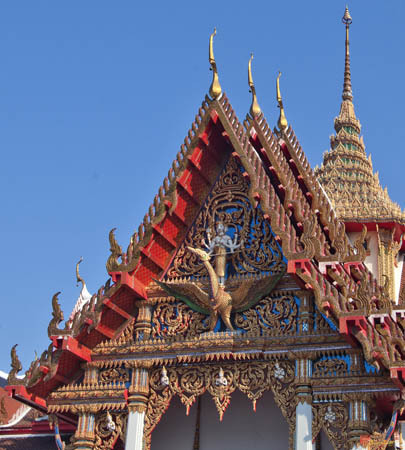 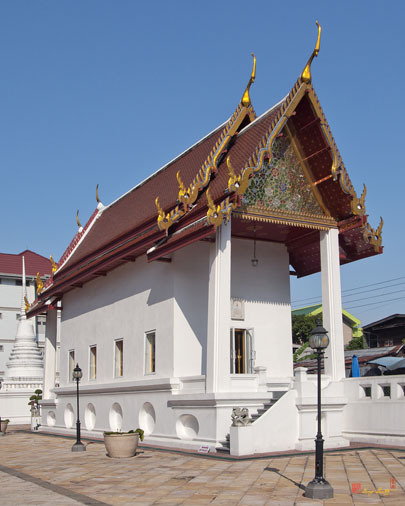 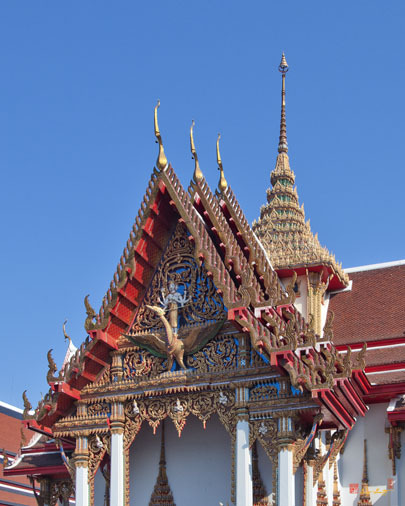 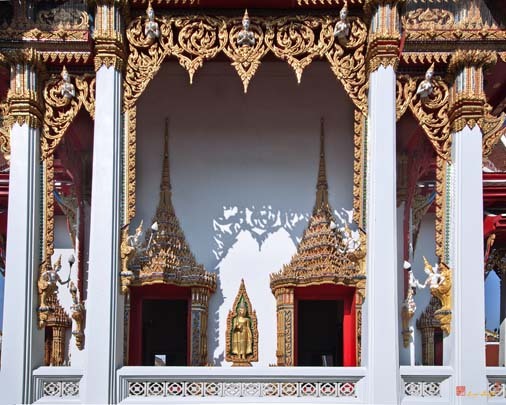 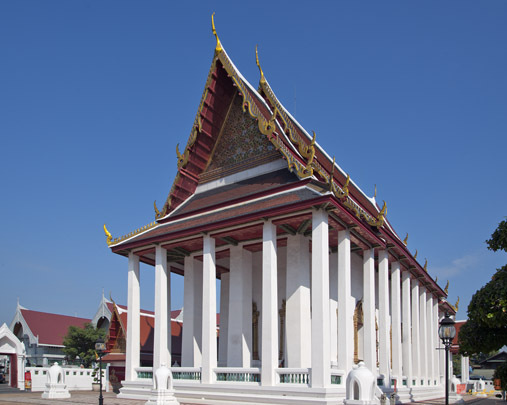 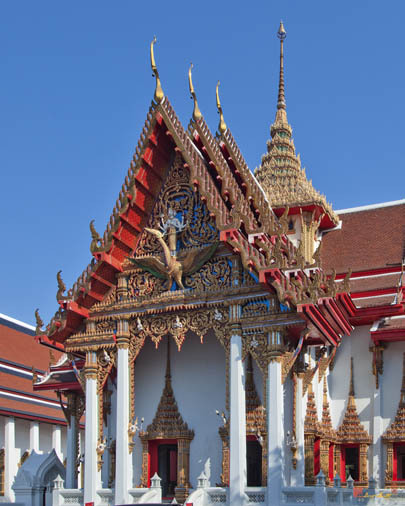 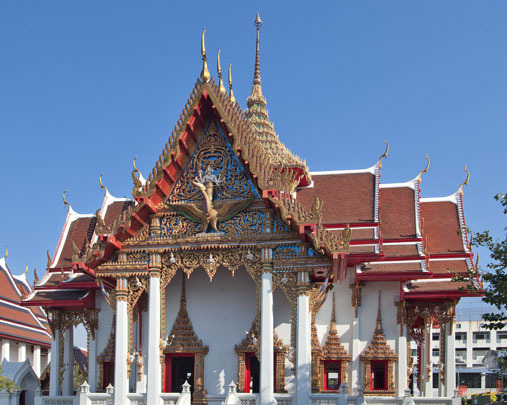 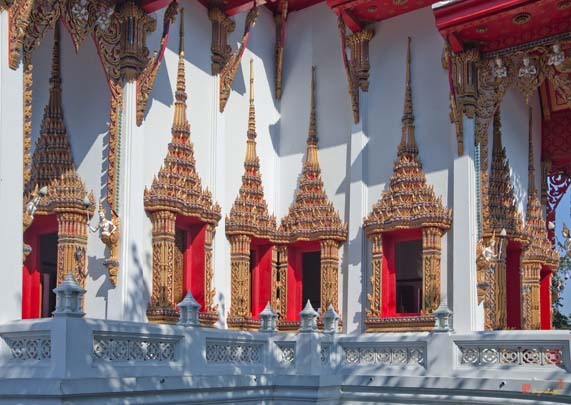 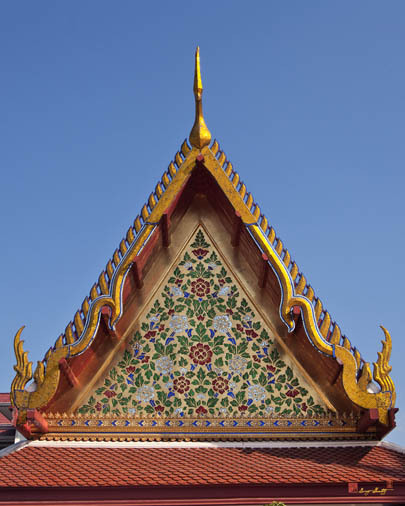 The Ubosot (Ordination Hall), built during King Rama III's reign, has the same style as Wat Phra Kaeo (the Grand Palace Temple). 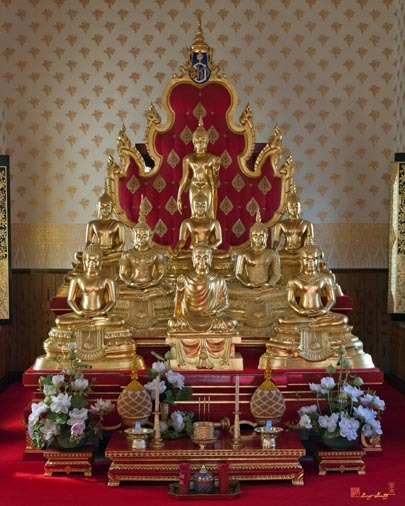 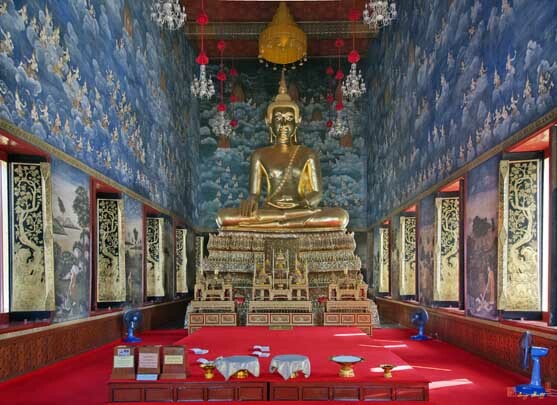 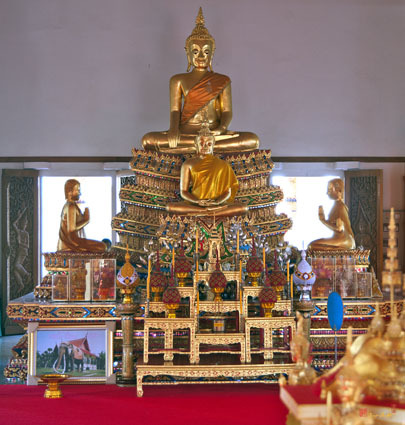 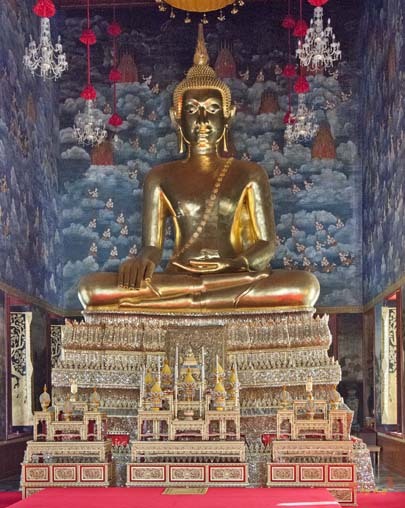 The principal Buddha image of the Dwawarawadi period, made of bronze with gold covering, in the Subduing Mara posture is enshrined in the Ubosot. 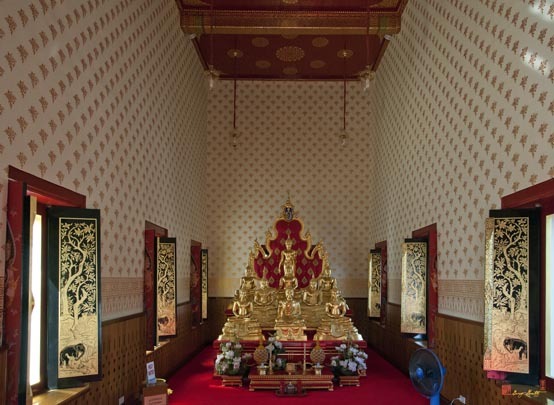 The image is nine feet in width and 11 feet high. 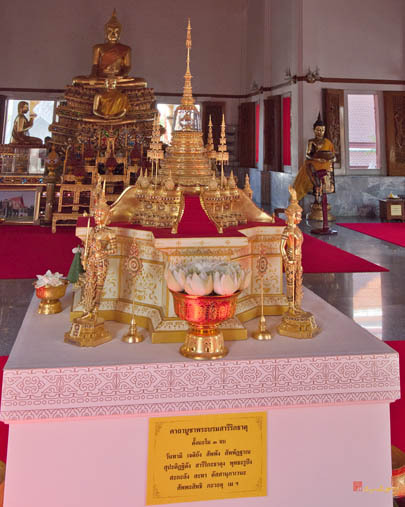 The image was given the name Phra Phuttha Thewarat Patimakorn by His Majesty King Rama IX on February 15, 2003 (B.E. 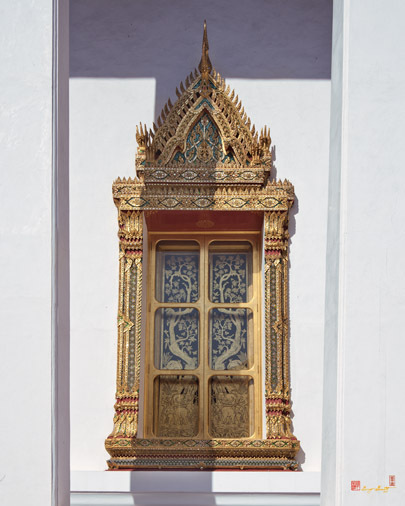 2546).